A record number of WPA members are involved with the 2013 Trans Tasman match in Newcastle (18/19 May) as either players, coaches or selectors. They were asked to provide some background to the match under the heading Preparing for the Trans Tasman . Their responses appear below in the order they were received. Most Recent Books: “The Trilogy - Fifty Shades of Grey” (well worth the read)!!! My triples partners are Claire from Masterton and Joanne from Auckland. My doubles partner is Tina from Christchurch. Team practices will have to wait until the Thursday and Friday before the tournament. My triples team did really well at the National Triples and we were very pleased with our efforts. We all know each other quite well so that always helps. It will be a matter of communication on and off the piste and supporting each other leading up to and during the tournament. In the mean time I will just continue my training at home which will be happening everyday up until I go. 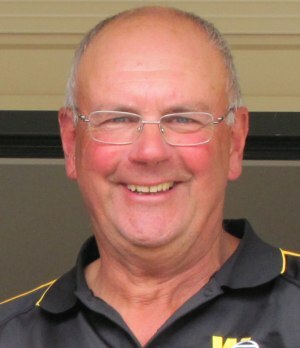 My preparation for the Trans Tasman this year has been attending the many tournaments on offer around the North Island. Twice a week I also get in as much shooting practise as I can. Since I am playing with people that don't live close to me, the main team practices will be in Australia on the Thursday and Friday before the Trans Tasman starts. I am sure the combinations will work as we have know each other's play well. I have either played with them or had battles against them. But our Triples team did play together for the first time at the PNZ Triples at Park Avenue in April and we finished 3rd equal in the Trophy. 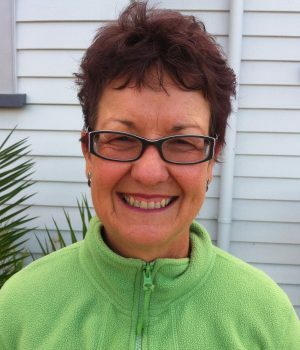 I am indivdually practicing my pointing and shooting, and part of my training included the Club National Champs in Rotorua and the WPA Women Singles Tournaments. Previous Representative Teams: I have been lucky enough to be part of the TT since the inauguration event in 2003. This is my 10th TT having only missed the 2008 event. Also represented NZ in Women's World champs, Oceania, Pan Pacific and Asian games. Preferred Playing Position: pointer, but most often I play millieur or shooter. I am the shooter for this TT. Recent Movie: Barbara”. (Set in East Germany in the 1960's.) A little tedious but very interesting. Most Recent Books: “The Girl with a Dragon Tattoo”, “The Girl Who played with Fire”. Now really want to get hold of the third - “The Girl Who kicked the Hornets' Nest”. My triples teammates are Barbara and Tina. And am with Barbara in the doubles. I have played many times with Barb so we are like comfy slippers. As a triples team we played a few games together at the selection camp and that worked very well. Since then I was out of action for a few weeks and our next run together was at the nationals. Coming in not fully fit I was very fortunate to have such supportive teammates. It was a good workout for the upcoming challenge of what I think will be a strong Australian Team. The following two weekends I played 2 day tournaments which has been a good preparation. Now daily practise is my aim until I head off to Oz. I spend 2 thirds of my time on shooting and 1 third on pointing. My other preparation leading up to TT involves what most sports people do and that is keep up fitness levels, good nutrition, rest etc. Really important is the mental attitude - lots of positive affirmations. Building our team (triples) is difficult. I am with Neville Frost from Caversham and Bob McCarthy from Otaki. I have played in the national doubles with Neville for the last 2 years and the national triples with him for 3 years so we know each other well. The three of us played in the recent national triples and we worked well together. I have been playing a lot of pétanque in the last 3 months - every weekend in very competitive tournaments (e.g. national club champs and Wellington Interclub plus regional and national triples). 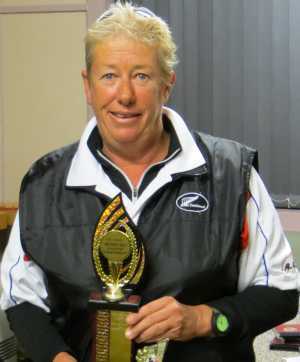 Masterton also holds the Jacques Cochonnet trophy at the moment and I have been playing those matches as well. Because I have travelled a lot in the last few months for family or work I have not had as much time for individual training but I practice on my home piste when I get a chance. I have been working on fitness as I believe it is very important at this level. I am playing with Ralph from Masterton and Andrew from Christchurch. It is hard to build a team when we are so spread apart but we know each other and each other's play well. We will spend some of Thursday and Friday practicing and playing together. In the meantime I will be going through my same routine with my own practice. Neville Frost (Caversham) & amp; Graeme Morris are my triples partners and until the selection camp I had only played with Graeme once and not at all with Neville. However, I felt really comfortable with them both in our trial games and this continued in the National Triples where we played as a team. I have played in all the Regional and National Tournaments where possible and practice at the club for an hour per day as well as on our own piste at home when time permits. 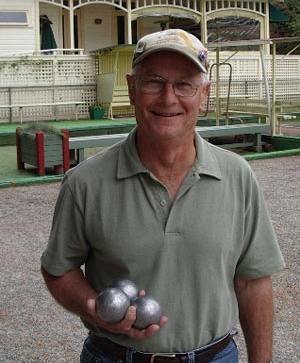 I really enjoy playing pétanque and am looking forward to my first Trans Tasman. Preferred Playing Position: Pointer but also like to shoot. Most Recent Books: “The Kite Runner” by Khaled Hosseini and looking forward to his new book - “And The Mountains Echoed” - which comes out 21st May. 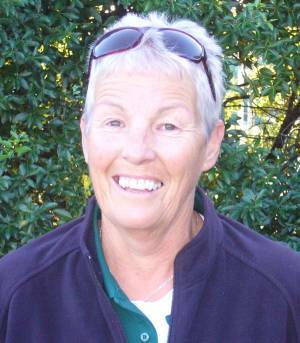 Marilyn Bunce (Alexandra) and Shirley MacDonald (Horowhenua) are my triples partners and although I have only played with Marilyn in the National Triples I play with Shirley whenever possible. Apart from Club days I practice 3-4 days a week, mainly pointing exercises. I have played most tournaments where possible over the last year with my playing partner Bob McCarthy. Previous Representative Teams: I have been a Wellington Rep. for Haines Cup, Chanticleer and Tri Star events. In 2012 I was a member of the NZ Senior Team, for the first time, in the Trans Tasman held in Wanganui. Favourite Foods: Italian. Haggis, neeps and tatties! Favourite Music: Classical, Opera, Traditional Scots to Queen, Abba and anything that sounds good! Most Recent Books: I enjoy most types of books, and am currently reading “The Mill on the Floss”, by George Eliot. I have recently finished reading the five books of Game of Thrones, a real good read. My preparation for the Trans Tasman has been attending as many tournaments as possible, and I'm concentrating on technique, consistency and tactics. Also I'm working on remaining more relaxed through my throwing action. I'm looking forward the the TT, and feel with Margaret M and Marilyn, we will be a force to be reckoned with! I am really looking forward to sharing the experience of the Trans Tasman Challenge, with the Senior Team. 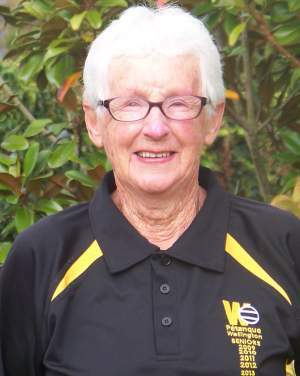 Although this is my first experience coaching an international team, I have been involved with many of the players through the inter regional events; The Southern Tri Star with which I have coached the Wellington Seniors 3 times (First in Dunedin, third in Christchurch, and Second in Wellington); and the Chanticleer, where I have played with and against several Senior players. Although the NZ Senior Team is well spread throughout New Zealand, the players are very experienced and able to train to their own individual regime. I am not here to influence the way they perform their shots. However, I will support and encourage them through their tournament, both on and off the field. If I have a particular strength, I believe it is in helping an individual to choose how they feel and interpret a situation. Even when the chips are down, and you are up against it, you still have a choice as to how you perceive the situation, and what you do to remedy it. When I’m not playing Pétanque, I am usually thinking about it. I am definitely passionate about the game. I also run my own Insurance advisory business in Wanganui, and my other passion is fishing on the beach with the surfcaster chasing Snapper. Current Book: “In the Blind Man's Garden” by Nadeem Aslam. Set on the border between Pakistan and Afghanistan post 9/11. A great read so far. Probably the least important role in the whole process. However, saying that it is also one that I hold with pride and look forward to representing all our players, administrators and supporters. I would like to acknowledge now the work that all PNZ members involved have put into their preparations to ensure this tournament is a success, despite the result. There are others who may join with Pete and put the boot in here! Before I proceed with how it works I want to acknowledge David Lippard, Trevor Neilsen and Murray Porter who were the initial architects of the selection process. Also Michael Emerson who has added value to this process. This has been tweaked in minor ways following feedback from the players every year. This is arguably one of the most difficult roles that I have performed with the PNZ. This is clearly an area loaded with emotion and it is one that I have taken very seriously. I believe that the decisions that I have been involved in have been made after rigorous assessments of the data available and observations of the players in game situations. Players put a huge amount of effort and energy into their attempts to get selected and it is important that this is acknowledged, however at the end of the day the selectors task is to pick the best team from the available players. The last selection event that I was involved in, the Open Women, took four hours after the last boule was thrown until we were satisfied that we had made a fair selection. For me this process hasn’t finished as from the Trans Tasman team I have been tasked with selecting the Women’s team to go to the World Champs. Currently we don’t even know when or where these are. This task is incredibly difficult as the competition for places is extremely intense. I have the information from the qualification tournaments, the selection weekend, National Triples results and a training weekend that we have had in Masterton. Often these results add further complications. I will be looking very closely at performance at the Trans Tasman to assist in making a final decision. Some of the games that the team plays will be assessed to give additional information. What am I looking for? Essentially I am trying to build a well balanced team that will be able to perform with credit at the top level. The individual range of skills each player brings to the team, contribution to the team dynamic and performance on the piste will all inform the decision making. The easy part. Particularly with the team that I am working with this year. I have been privileged enough to have worked with most of them before and it is a privilege. They are all focussed players, intent on performing to the best of their ability and representing their country with pride. I see the coach as being an integral part of the team as we work towards a common goal. Building this attitude is important to the long term success of the team. Each player will have their own aspirations and goals. My task is to meld these aspirations, goals and dreams into the tapestry of our team. While those sentiments guide me I am also aware that there are times that hard decisions need to be made and I will not shirk from those. My job is to be a part of an effective team playing with and for each other. Coaching is an incredibly draining exercise, I play each boule, and am amazed at how well I played it, make incredibly accurate tactical decisions that will leave us in a commanding position when the boules come to rest and then have to move on when the reality doesn’t always match the intention. What I do know though is that every player that I have been involved with in a coaching capacity is intent on playing the boules in a faultless manner. You all have my utmost respect and I wish you the success you deserve in pétanque. As I mentioned earlier I have been very privileged in my petanque. I have had some great opportunities and made some great friends. Undertaking the roles outlined above is my chance to say thank you and give something back, hoping my effort and energy complements yours. Previous Representative Teams: Played in Trans Tasman Seniors Teams in Melbourne in 2007 and 2011 and Wanganui 2012. 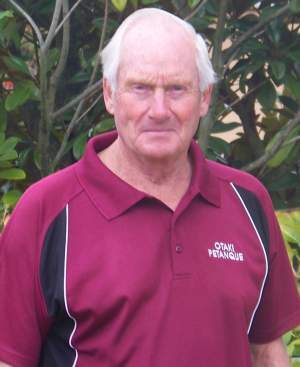 Wellington representative in original "Clash" against Canterbury and played in Open and Senior Southern Tri-star, Haines Trophy and Chanticleer Cup. Favourite Foods: Enjoy most foods, especially French. Recent Movie: “Intouchables” one of the best of recent movies seen. Played a variety of hard competition since selection, and try to keep my hand in between tournaments and club meets by throwing a few boule when I can, concentrating on the basics, but I have to admit I get bored practising on my own. I enjoy competitive pétanque and am looking forward to another TT, playing with Pete Hamilton and Andrew Findlay and meeting up with the Australian players again. 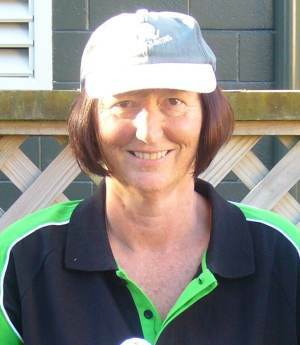 Previous Representative Teams: I have been fortunate enough to represent New Zealand in the senior team from 2007 to 2012 inclusive, apart from 2011 when I was overseas on business. 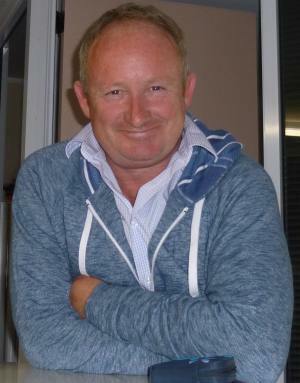 2013 I made the step up to Open grade and represented New Zealand in the Oceanias in Wallis Island and very shortly the Trans Tasman at Lake Macquarie. Preferred Playing Position: I feel reasonably comfortable playing in any position – but in recent years seem to be selected mostly as a shooter, as indeed I have been for the 2013 Trans Tasman. Favourite Foods: Corned beef and cabbage (or fresh garden peas) with mashed or new potatoes. But prefer the corned beef to have been cooked in the slow cooker for several hours first. YUM!!! Favourite Music: I love to dance – so prefer any kind of music that you can Jive, Rock’n’Roll, Waltz, Foxtrot or Quickstep to. If dancing is not an option then I like Country or middle of the road. Recent Movie: I like action movies best but also loved “Sleepless in Seattle” and “Forest Gump”. Last movie I saw was “Olympus Has Fallen”. Most Recent Books: My favourite reads are English Classics. I must have read “Lorna Doone”, “Timothy in Bushland”, “An Amateur Gentleman” and most of Charles Dickens at least a dozen times each. 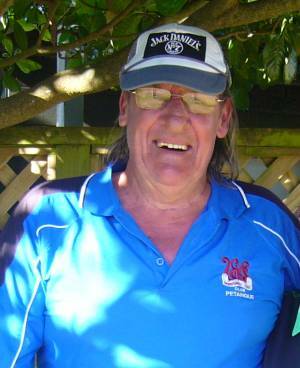 Masterton Pétanque Club is the club I belong to and like to represent. But I live in the Far North and the nearest pétanque club to me is in Auckland – four hours drive away – so mostly I train alone at home. I practice for one hour every morning and one or two hours every evening after dinner, predominantly playing six boules against six boules and keeping score for both teams, pointing and shooting as required for both teams. It seems to work for me. 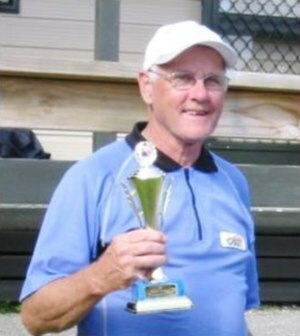 I am playing with Aucklanders' Dez Grant and Alan Heron in the Trans Tasman Triples: I have been down to Auckland and played with them in open club tournaments and we also came third equal in the recent National Triples – so have jelled well. Bill Peachey and I will be doubles partners and were permanent doubles partners for several years so again know each others play well. Claire Wilson and I will be mixed doubles partners – first time playing together – but both from the same club and have played on the same club team several times and played against each other many times, which makes me totally confident in Claire’s pointing and think she will be confident in my shooting, so we should give the Aussies plenty of hurry up: anyway that’s the plan. Previous Representative Teams: Trans Tasman Seniors: 2006; 2007; 2008; 2009; 2010. Recent Movie: “Flight of the Butterflies 3D” Imax Museum Theatre, Melbourne (amazing true story of hundreds of millions of monarchs migrating from Canada, across the U.S. into the isolated mountaintops in Mexico). Other Pétanque experiences: In 2002 visited France as a supporter for our NZ Team and played pétanque next to the Eiffel Tower, Paris; met Marco Foyet at Grenoble; played at St. Paul-de-Vence (a medieval village on the French Riveria). 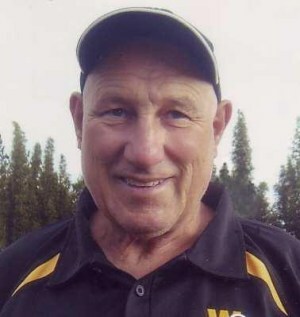 In 2008 played against Philippe Suchand, Bruno Rocher and Philippe Quintas at Otaki; that year also played pétanque in Sonoma, Oakhurst, and Los Angeles, California; and recently in Hobart, Tasmania. 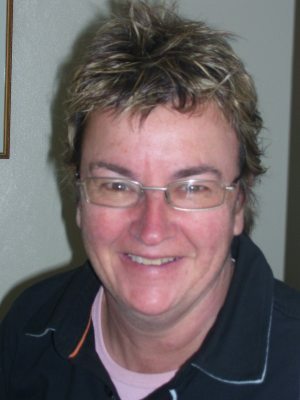 With my petanque experience over 17 years, playing in 5 Trans Tasman Seniors, this knowledge and expertise gained has helped me as a selector for the 2013 Senior TT team. Australia have no desire for us to gain a 6th consecutive win over them and they will be all fired up to beat us, making this a close challenge. It is pleasing to see the hard work that the NZ team have done for this coming event and I would like to wish them all well. As we say in Wellington – be ‘absolutely positive’! Being a selector for the senior and open women, especially with the calibre of the women is a arduous task, but also a very enjoyable one. I would like to take this opportunity to wish the manager, coaches, and teams all the very best of luck.